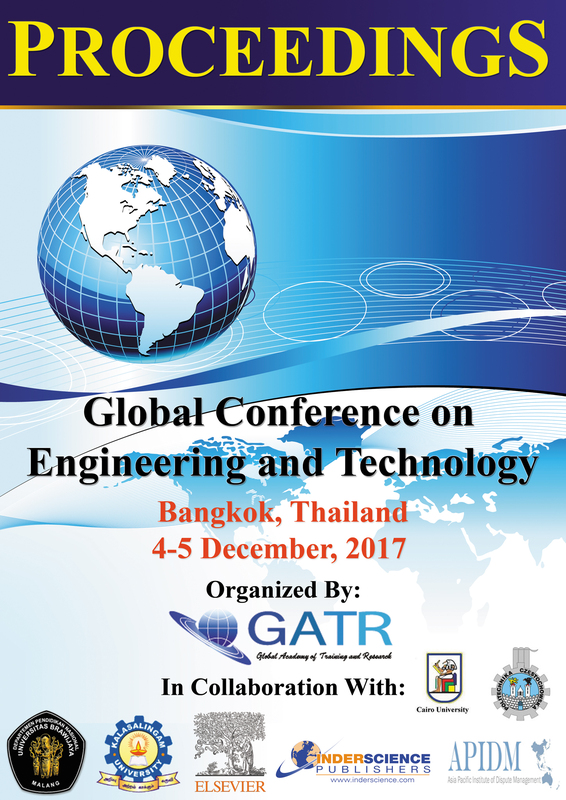 Authors of all accepted papers / abstracts for presentation in this conference will be Blind Peer Reviewed and all abstracts will be published in the official conference proceedings with an ISBN: 978-967-13147-0-8 in a CD form. All submitted conference abstract/paper/poster will go through a double blind peer reviewed by two competent reviewers. All Accepted Papers will be published in the special/regular issue of either any of the following ISI/Scopus indexed journals. PLOS ONE is an international, peer-reviewed, open-access, online publication. PLOS ONE welcomes reports on primary research from any scientific discipline. PLOS ONE features reports of original research from all disciplines within science and medicine. By not excluding papers on the basis of subject area, PLOS ONE facilitates the discovery of the connections between papers whether within or between disciplines. PLOS ONE will rigorously peer-review your submissions and publish all papers that are judged to be technically sound. Judgments about the importance of any particular paper are then made after publication by the readership, who are the most qualified to determine what is of interest to them. PLOS ONE is indexed in Scopus, Web of Science, Google Scholar, EMBASE, AGRICOLA, PsycINFO, Zoological Records, FSTA (Food Science and Technology Abstracts), GeoRef, and RefAware, as well as being searchable via the Web of Knowledge. In addition, PLOS ONE is formally archived via PubMed Central and LOCKSS. Advanced Science Lettersis a multidisciplinary peer-reviewed journal with a very wide-ranging coverage, consolidates fundamental and applied research activities by publishing proceedings from international scientific, technical and medical conferences in all areas of (1) Physical Sciences, (2) Engineering, (3) Biological Sciences/Health Sciences, (4) Medicine, (5) Computer and Information Sciences, (6) Mathematical Sciences, (7) Agriculture Science and Engineering, (8) Geosciences, and (9) Energy/Fuels/Environmental/Green Science and Engineering, and (10) Education, Social Sciences and Public Policies. This journal does not publish general research articles by individual authors. Conference ProceedingsCitation Index-Science (CPCI-S), Chemical Abstracts , Elsevier Bibliographic Databases, Compendex, Scopus, Biological Sciences Abstracts, Biotechnology and Bio Engineering Abstracts, Biotechnology Research Abstracts, Bacteriology Abstracts (Microbiology B), Neurosciences Abstracts, Engineering Research Database, Technology Research Database, Environmental Science and Pollution Management. KCE International Journal of Graphs and Combinatorics is devoted to publication of standard original research papers in Combinatorial Mathematics and related areas. The fields covered by the journal include graphs and hypergraphs, network theory, combinatorial optimization, coding theory, block designs, combinatorial geometry, matroid theory, logic, computing, neural networks and any related topics. Each volume will consist of two issues to be published in the months of June and December every year. Contribution presented to the journal can be Full-length article, Review article, Short communication and about a conference. The journal will also publish proceedings of conferences. These proceedings will be fully refereed and adhere to the normal standard of the journal. This journal covers all aspects of information and communication technology, its theories and applications. 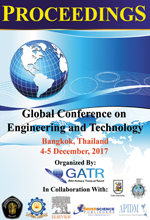 The aim of this journal is to provide coverage of the most significant research and development in the area of information and communication technology. To be accepted, a paper must be judged to be truly outstanding in its field and to be of interest to a wide audience. We are particularly interested in work at the boundaries, both the boundaries of sub disciplines of information and communication technology and the boundaries between information and communication technology and other fields. This is an open access journal. The articles on this site are available in full-text and free of charge to our web visitors. Pertanika Journal of Tropical Agricultural Science (JTAS) is the official journal of Universiti Putra Malaysia published by UPM Press. It is an open-access online scientific journal which is free of charge. It publishes the scientific outputs. It neither accepts nor commissions third party content. Recognized internationally as the leading peer-reviewed interdisciplinary journal devoted to the publication of original papers, it serves as a forum for practical approaches to improving quality in issues pertaining to tropical agriculture and its related fields. JTAS is a quarterly (February, May, August and November) periodical that considers for publication original articles as per its scope. The journal publishes in English and it is open to authors around the world regardless of the nationality. After 38 years, as an interdisciplinary journal of Agriculture, the revamped Journal, a leading agricultural journal in Malaysia now focuses on tropical agricultural research and its related fields.Pertanika journal is indexed, abstracted, listed, and/or archived in the following databases: SCOPUS (Elsevier),Thomson (ISI) Web of Knowledge [BIOSIS & CAB Abstracts],DOAJ, EBSCO, AGRICOLA, Google Scholar, ISC, MyAIS, and RUBRIQ.